Traditional Chinese pastries hold a special place in the hearts of the Chinese people, a unique heritage where each pastry has its roots in our culture, such as eating the tang yuan (汤圆) to mark the beginning of Winter and the rice cake (年糕) during Chinese New Year to imply plentiful harvest. 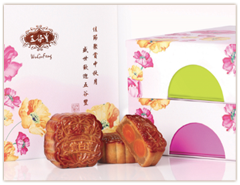 The mooncake (月饼), especially, brings to mind a time of reunion with loved ones under the mid-Autumn full moon. 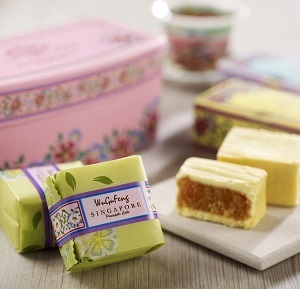 WuGuFeng is a hallmark of the rich Hong Kong pastry-making tradition, which has been renowned since the 50's for their finesse in crafting perfect parcels of baked goods. 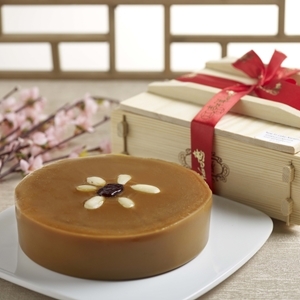 Leveraging on this heritage of more than 60 years, WuGuFeng cleverly infuses the city's cosmopolitan lifestyle and the charm of old-time flavours into its pastries. 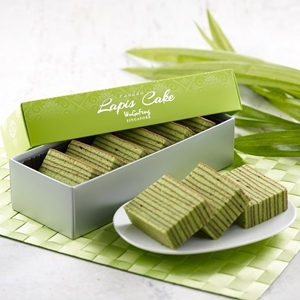 The brand exquisitely embodies the traditional cultural spirit of oriental pastry craft, divinely integrating it with the taste of the locals to create delightfully enticing confections. 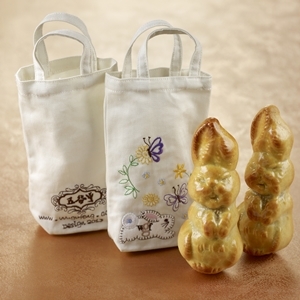 Helmed by a dedicated veteran Food Maestro Bruce Lei of Hong Kong origins with global experience in food and manufacturing research, our confectionary creations are set apart by his secret recipes and thoughtfulness put into each product. 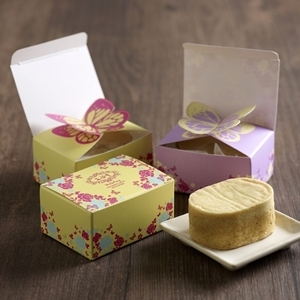 The ever popular Mooncakes are annual craft affairs, where much pride is taken in introducing new flavours every year to entice different taste buds. Our Milk Nougats boasts of a variety of flavours that gives the right amount of chewiness without the stickiness, and the Traditional Home-Made Rice Cakes chock full of ingredients, will bring back memories of yore where the sweet treat is a highlight during New Years. 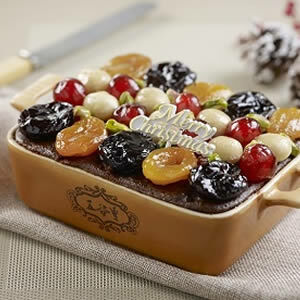 It is made even sweeter now that it's ready to eat just by steaming! 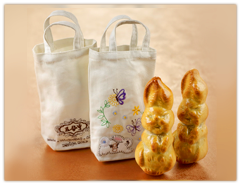 The successful story of one of the oldest brand names under the management of the Bake Mission Group, drew its inspiration from the art of oriental gift-pastry that boasted of recipes historically passed down from a century ago. With a foundation rooted in conventional craft techniques emphasising on quality and taste, WuGuFeng is constantly striving to surpass its predecessors by continuously researching and implementing new improvements in its products. Using only superior quality ingredients and maintaining a stringent manufacturing process, the Group imbues dedication and perfection into every part of its operation. 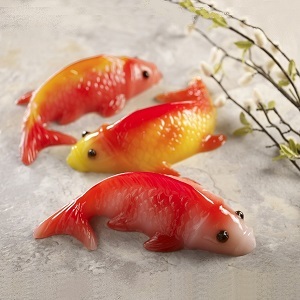 More than just your usual Chinese pastry-makers, WuGuFeng turns the intricate traditional pastries into a relevant affair that is suitable for the multi-racial masses. 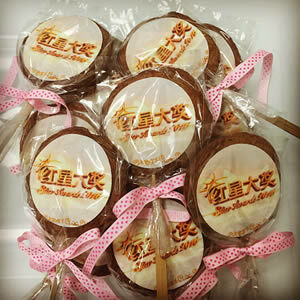 In order to ensure that the Group's confectionaries can be enjoyed by everyone, WuGuFeng achieved the Muslim Halal certification, making it one of the few Halal bakeries in Singapore. It remains the Group's top priority to produce healthy and safe food with no impurities and no preservatives as part of their brand commitment to their consumers. The Group also produces other food specialties which include cookies, kueh lapis, frozen bakery and desserts that caters for tea party, Chinese New Year gifts, baby shower gifts, door gifts and Christmas gift ideas. Except for participating in Festive Fairs several times a year at Major Shopping Malls & Departmental Stores, we are not running any retail outlets on normal days. However, our production is on-going. 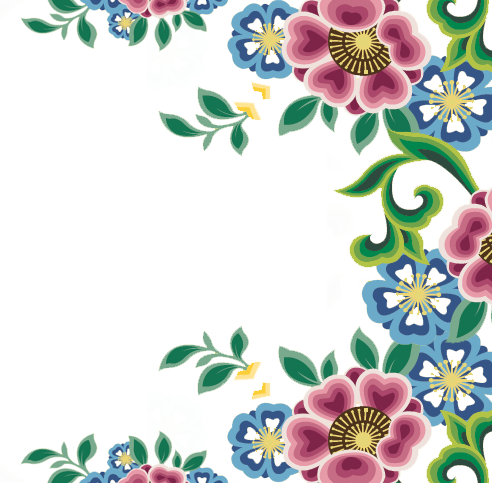 We provide FREE delivery for minimum purchase of S$150 & above within Singapore. Otherwise, a delivery charge of S$10.70 is applicable. All Prices quoted herein is INCLUSIVE of 7% GST. 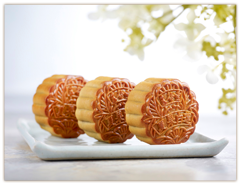 A tantalizing palate that enriches the festive occasion, our signature mooncakes are rich in flavour and smooth, tender in texture. 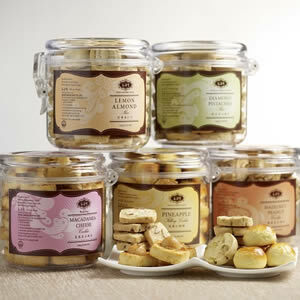 Dappled with only premium ingredients such as olive kernels, pine nuts, macadamias and pure lotus paste, these oven-fresh classics boast a sumptuous aftertaste that conquers your heart. A balanced perfection to share with your loved ones. 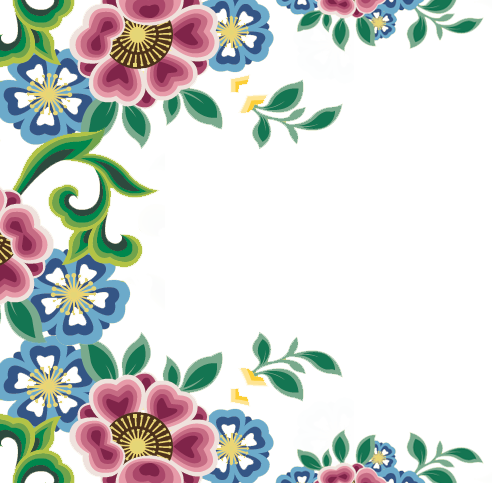 From our colourful Nanyang culture, we created this elegant range of Peranakan Traditional treats. 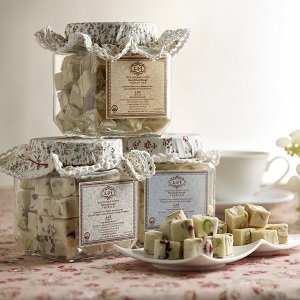 Each treat is lovingly handcrafted to delight your senses and beautifully packaged with our unique floral designs. Savour our all-time favourites, with its unique notes of savoury, spicy flavours or typical Straits Chinese flavours, a brilliant infusion of rich Malay and Chinese tastes.